Beth Green has been inspiring people to activism since 1954, when she was a 9-year-old living through the repressive period of McCarthyism. Not daunted by the intimidating atmosphere, she refused to salute the flag because the words “under God” were added to the pledge of allegiance, which she deemed an unconstitutional breach of the separation of church and state. For this, she was threatened with expulsion from elementary school. At the same age, she was rallying people to a more just social and economic system, for which she was reported to the FBI. And that was just the beginning. 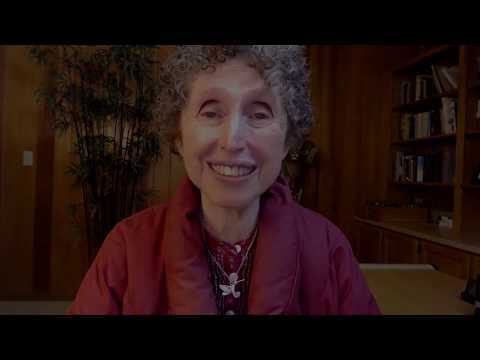 Throughout her life, Beth has called on people to act with consciousness of our oneness, our impact on one another and the highest good of all, whether the message was popular or not. And since 1980, when she had her full-blown spiritual/psychic awakening, she has been teaching a message about shifting the battleground from the outer revolution to the inner revolution as the precursor of real and permanent change. In 1993, Beth launched the Spiritual Activist Movement (SAM), which focused on facilitating change through unifying our thoughts and behaviors around fundamental spiritual principles that we could all support. People were asked to sign a pledge, the Spiritual Activist Statement of Commitment, which delineated three foundational principles, and we were asked to apply those principles to every action in our lives. The movement gathered some momentum internationally but was limited by the lack of the internet. It dissolved. People responded warmly to SAM, but it proved to be too narrow a focus. In the end, Beth focused on other aspects of the work, but always with the intention of enabling all of us to co-create the world we want by examining the underlying causes of our dysfunctional and destructive behaviors and changing from the inside out. All Beth Green’s work embodies and promotes spirituality in action, and that is the essence of spiritual activism. She is making us aware of the fear-based, ego-based attitudes and behaviors that are hurting us all, and she is offering us tools, teachings, processes and support to be able to overcome them. Check out this website for the depth and breadth of her offerings. We invite you to take part in the spiritual activism movement by participating in our in-person and online community dedicated to the inner revolution, to bringing consciousness into every moment of our lives. First, don’t miss Beth’s powerful spiritual activist video (above), made at the relaunching of the movement in 2010. This brief video is still an inspiration to all who watch it. And pass it on! Then check out this website, check out Beth Green TV, and learn about her other books and music. And, most of all, participate in the many programs and activities offered by Beth and her community. Many of them are free of charge! Spiritual activism is bringing consciousness into every thought, action and decision we make and learning more and more how to act together with that intention. Beth Green offers many supports for our shifting from ego to oneness, where the true self lies. Join her, join us!